Plans for the new Steiner Waldorf training course to start this autumn are going well. It is parallel to the London course with the same validation route, a similar three year structure, weight of assignments and cost. It will provide a full training course for work in Steiner Waldorf early childhood settings, complying with the IASWECE benchmarks and is a nationally valid English early years qualification at level 4 and level 5 through Crossfield Institute, accredited by Edexcel. A validation process for Scotland is also under way. The course development team, which is all the core tutors of the former Plymouth University foundation degree course, are working now in preparation for the course opening. The team of Richard Bunzl, Sally Jenkinson, Janet Klaar, Francesca Meynell, Winny Mossman, Janni Nicol and Jill Taplin will all teach on the course alongside tutors for a range of artistic and craft subjects and special guest lecturers. 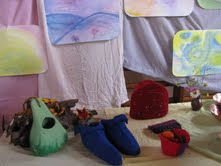 There will be monthly residentials at the York Steiner School and two five-day residentials in 2012/13. 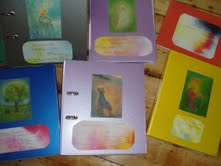 Generous funding for start-up costs has come from the trustees of Tintagel House in Sheffield and from the Anthroposophical Society in Great Britain, along with loan offers that will enable us to complete all our preparations in time for the Induction residentials beginning on 31st October 2012. The application form and more details are on our web-site: www.neswec.org.uk . In line with all early years study programmes, applicants are required to have a good level of literacy and numeracy, either shown by GCSE qualifications in English and Maths at grade C or above, or equivalent qualifications. Applicants without these can also be admitted through our own skills-needs assessment process. All students will be supported by study skills sessions and individual help from tutors. The assignment schedule, including written, oral and artistic elements, will be paced so that students can use tutor feedback to build on their skills throughout the course. A taster day is planned at York Steiner School in September and all applications must be in by the end of September. Please do look at the web-site www.neswec.org.uk and contact Jill Taplin (jill@neswec.org.uk) if you have any questions or would like details of the taster day. The government has announced that the Exeter bid for a Steiner Academy (Free School) has been successful. The initiative now advances to the `pre-opening stage`. The new Steiner Academy Exeter will open in September 2013, eventually offering double stream entry through to age 16 for up to 644 children. The announcement is a tribute to the huge amount of effort and commitment devoted to the project by enthusiastic parents and supporters. It is good news for the many children who would otherwise have no access to Steiner education. The new Academy will open with Reception, Years 1,2, 3 and 7, (Early Years, classes 1,2 and 6), growing both the lower and upper ends of the school simultaneously. For further information contact: Steiner Academy Exeter. Exeter will join Frome (2012) and Hereford (2008) as state-funded Steiner Waldorf schools in the UK. Whilst some new Free Schools are struggling to enrol the number of pupils their initial projections anticipated, both the Frome and Hereford Steiner Academies are over-subscribed, confirming the strong demand for this unique education. Commiserations are due to hard working colleagues in Leeds who had already overcome a number of hurdles to reach the final stage of the Free School application process. They have been informed that their bid will not advance further, largely for reasons relating to economies of scale. There are more than a thousand Steiner Schools in over sixty countries around the world. In some countries (including many in Europe) the schools are partly or fully state-funded, whilst in others there is no state funding available. The government's Free School programme has created an opportunity for new Steiner school projects such as Exeter and Frome to apply to become state-funded Academies. Steiner Waldorf schools form the largest group of independent, non-denominational private schools in the world. They thrive on every continent, in every culture and within a wide range of ethnic contexts, including Israel, Egypt, Kenya, Sierra Leone, Taiwan, Japan, Brazil and China. There are currently over 1,000 Steiner schools worldwide and 35 in the UK. There are over 2,000 Early Years settings in a total of 64 different countries. The first school was opened in Germany in 1919, the first in the UK in 1925. Both the Daily Telegraph and the The Daily Mail reported this week on the plight of children and childhood in the UK as the Save Childhood Movement was launched. The movement's development director, Wendy Ellyatt, who is also an author and consultant in early education, said the launch reflected growing concerns over the state of modern childhood. The movement will campaign on a range of issues covering education, health, technology and commercial pressures that hamper children's development. The move follows the publication of a landmark report from Unicef last year that found British parents were trapping their children in a cycle of "compulsive consumerism" by showering them with toys and designer labels instead of spending quality time with them. This came after a 2007 study by the UN children's agency ranked Britain bottom out of 21 developed countries for child welfare and third from bottom for educational standards.